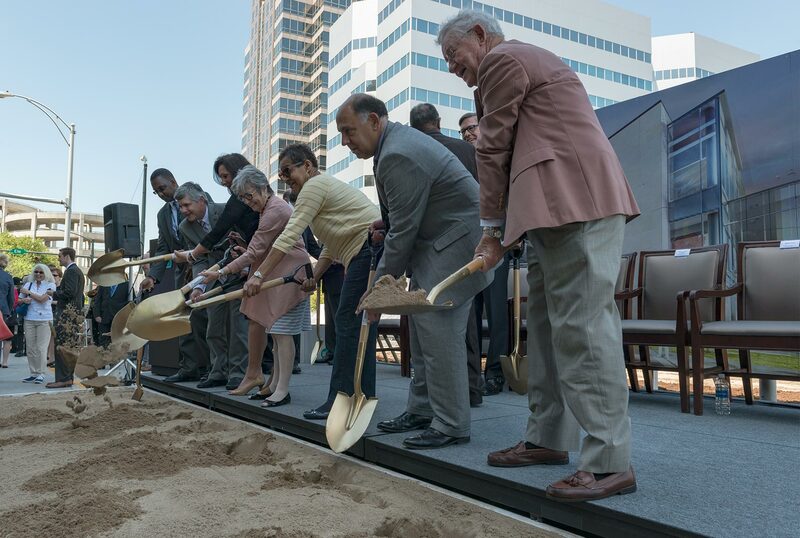 The official groundbreaking ceremony for the Steven Tanger Center for the Performing Arts was held on Wednesday, Apr. 26 at 12 p.m. 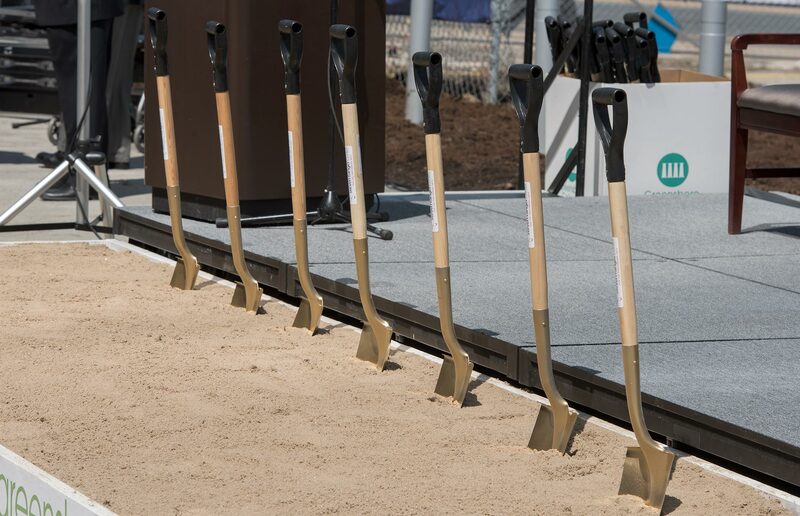 The ceremony drew a crowd of more than 300 to the site of the future Tanger Center - One Brenner Place at the corner of North Elm & Bellemeade Streets in downtown Greensboro. The program included remarks from Steven Tanger, NC Gov. Roy Cooper, Greensboro Mayor Nancy Vaughan, Greensboro Coliseum managing director Matt Brown, Greater Greensboro Community Foundation president Walker Sanders, fundraising chairperson Kathy Manning and Performing Arts Task Force co-chairman Henry Frye.